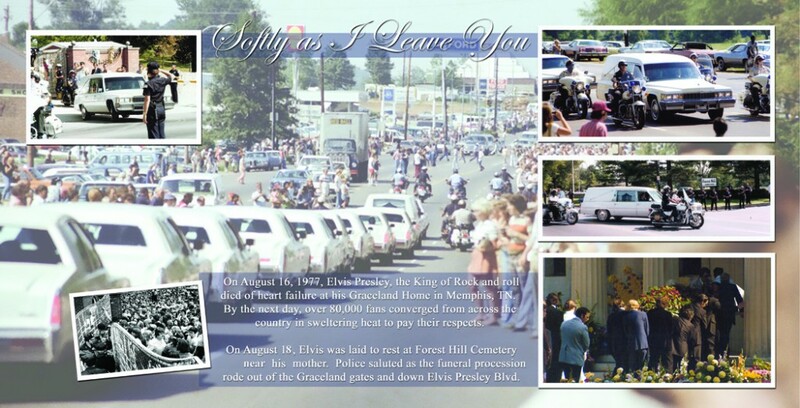 When Elvis passed away in August of 1977, his father Vernon asked J.D. Sumner to handle the funeral service at Graceland in Memphis, as Vernon described his wishes for his son’s funeral. Sumner was a close friend to Elvis and legendary bass singer of the Stamps Quartet that backed Elvis on records and in concert. After a solemn discussion at Elvis’ Graceland Mansion with Mr. Presley as to what he wanted for Elvis’ funeral service, J.D. 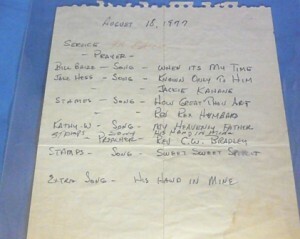 dictated the outline of the service to Stamps quartet member, Ed Enoch. Enoch compiled a list which contained the details of the funeral, including who would sing, what songs would be sung, who would speak and who would officiate at the funeral. 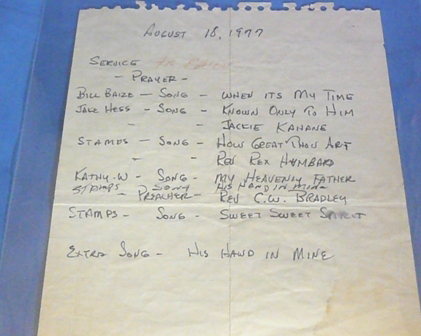 The specific details recorded on this original sheet of paper, just after Presley’s death in August of 1977, would be the initial framework for what would become the biggest and most historic funeral in entertainment history. Elvis loved Rex Humbard, and Rev. 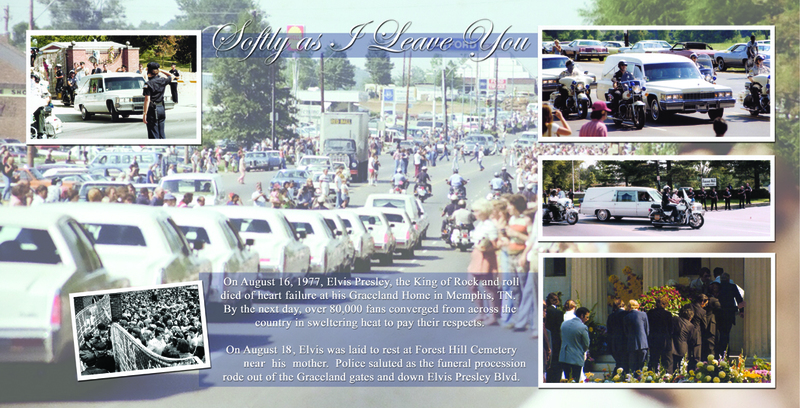 Humbard, at Vernon Presley’s request, officiated the funeral service for Elvis. J.D. Sumner was friends with Rev. 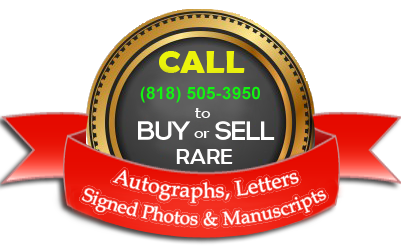 Humbard and later asked him for the bible that he had used to officiate Elvis’ funeral. As a special gift to J.D. Sumner, Rev. Humbard had Sumner’s named embossed on the cover in gold, and signed the inside, as well as dedicating it “To J.D. Sumner” and presented it to him. The Bible stayed in J.D.’s possession until his death in 1997. 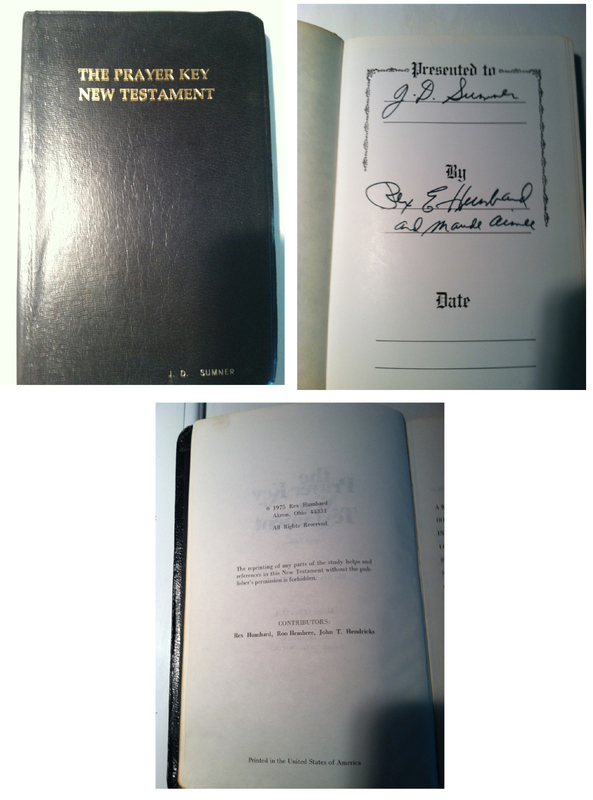 This is the first time this historic Bible and original funeral service arrangements are on the market. Comes with video footage of the extended TV news coverage of Elvis’ death and funeral. Comes with detailed letter of provenance from Sumner’s family.